Or, get it for 116400 Kobo Super Points! Knowledge of cholesterol and its interaction with protein molecules is of fundamental importance in both animal and human biology. 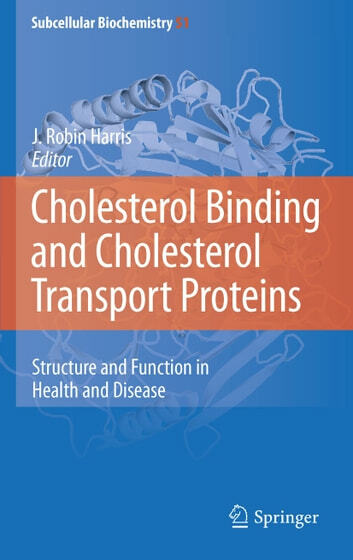 This book contains 22 chapters, dealing in depth with structural and functional aspects of the currently known and extremely diverse unrelated families of cholesterol-binding and cholesterol transport proteins. By drawing together this range of topics the Editor has attempted to correlate this broad field of study for the first time. Technical aspects are given considerable emphasis, particularly in relation cholesterol reporter molecules and to the isolation and study of membrane cholesterol- and sphingomyelin-rich "raft" domains. 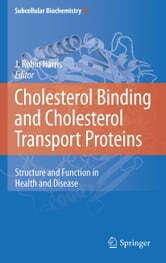 Cell biological, biochemical and clinical topics are included in this book, which serve to emphasize the acknowledged and important benefits to be gained from the study of cholesterol and cholesterol-binding proteins within the biomedical sciences and the involvement of cholesterol in several clinical disorders. It is hoped that by presenting this topic in this integrated manner that an appreciation of the fact that there is much more that needs to be taken into account, studied and understood than the widely discussed "bad and good cholesterol" associated, respectively, with the low- and high-density lipoproteins, LDL and HDL.